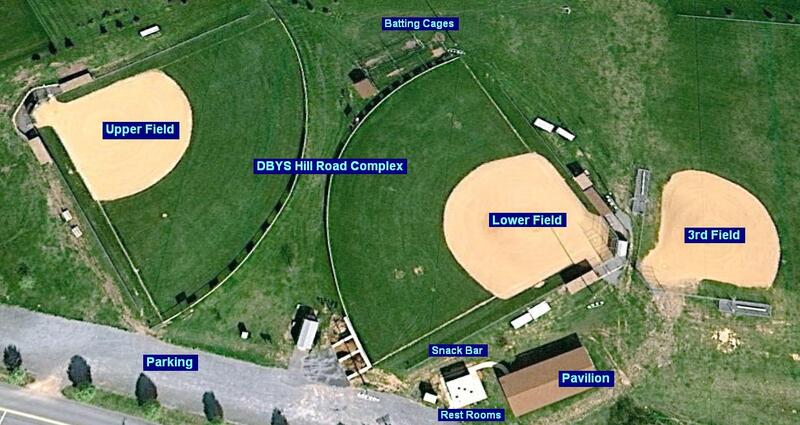 Home Facilities Directions | Daniel Boone Athletic Assoc. From Philadelphia/KOP area: 422W into Douglassville. Continue on 422W through 5 traffic lights (the fifth will be the intersection of 422W and N. Monocacy Creek Road). After that fifth light, take the very next right - this is Hill Road. Travel approximately 400 yards to the fields on the right hand side. From Reading area: 422W into Douglassville. As you make your way down 422E, you'll eventually come to a traffic light at the intersection of 422 and Monocacy HILL Road (Lubrano's Pizzeria will be on the right, Island Pizza on the left). Go through this light and continue to the very next traffic light on 422. Get into the left hand lane as you begin to reach the traffic light - you will need to turn left at this light (intersection is 422 and N. Monocacy Creek Road). Follow N. Monocacy Creek Road to the first stop sign (you'll be in a housing development - please obey the speed limit signs and watch for children at play!). Turn left at the first stop sign (onto Loyalsock Drive). Follow this to the stop sign at the end of this short street. Turn right onto HILL ROAD and look for the fields, just up the street, on the right hand side. From Wyomissing area (hotels) - Rt. 422 East to Rt. 345 South (formerly Rt. 82 South), go to second traffic light make left onto Rt. 724 East, travel ¼ mile and field sits down hill on left. Parking for the field is along Main Street (Rt. 724) or on Armorcast Drive (Enter Armorcast Drive off Rt 345 between the Chinese Restaurant and the Matthew Brooke Prof. Center). Follow road to electrical substation on right hand side. Do not park in the alleyway behind the houses along first base line!